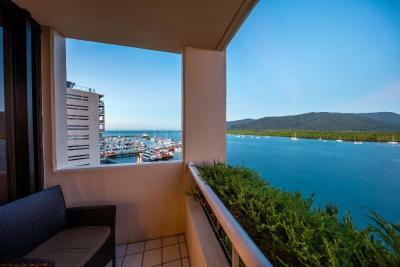 Lock in a great price for Hilton Cairns – rated 8.2 by recent guests! The location is great, very close to the centre of the city and also close to the quay. Great room on 5th floor with port view. Quiet, spacious and nice. Balcony was excellent for "people spotting". Breakfast buffet with sumptuous variety of foods and drinks. 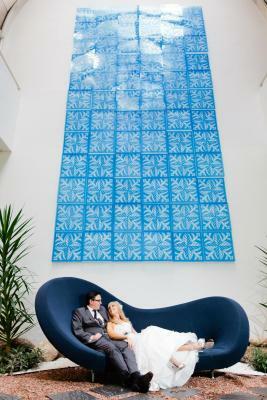 The hotel was lovely and great location but the staff went above and beyond. They almost knew what we wanted and needed before we did. Would highly recommend and would absolutely go again. Definitely worth paying extra for the executive room. I loved having access to the lounge. The food and drink there was amazing! 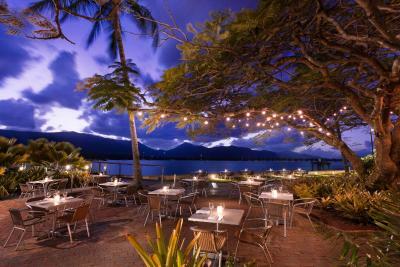 Being on the water and the great restaraunt s within walking distance. Overall good stay. PERFECT location. Room had a deck which was great. Staff on reception. VERY friendly and very helpful!!! The location is the only usp of the hotel. 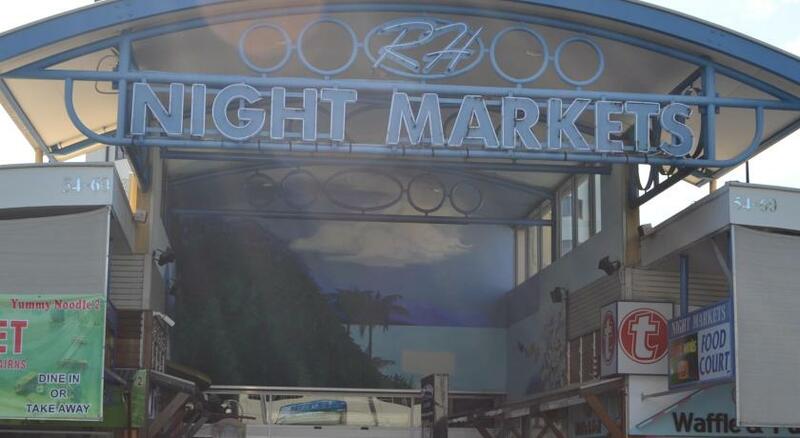 It is very close to the ferry wharf. Also the promenade is just outside the hotel. Good location. Lovely room. 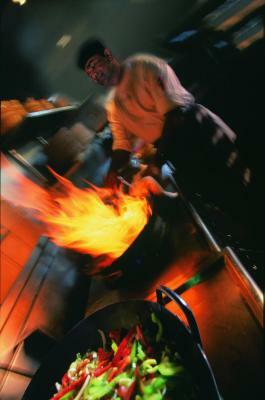 Staff in general were excellent - especially in the restaurant. 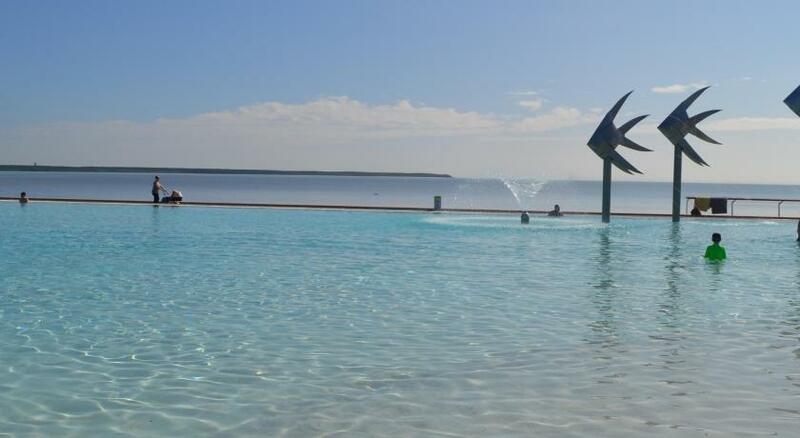 Hilton Cairns This rating is a reflection of how the property compares to the industry standard when it comes to price, facilities and services available. It's based on a self-evaluation by the property. Use this rating to help choose your stay! 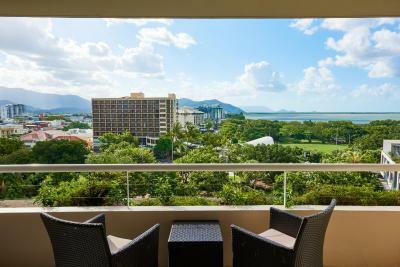 Experience a sense of luxury at Hilton Cairns, located on the Cairns Esplanade. 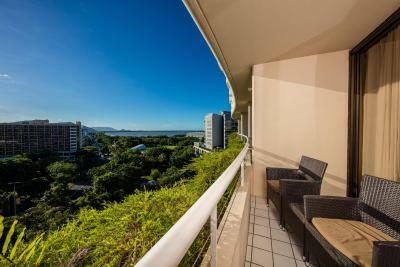 Boasting an absolute waterfront location, this property is located just 2 minutes’ walk from the Reef Departure Terminal and a 5-minute walk to the CBD and Cairns Convention Center. Guests can work out in the refurbished fitness center. 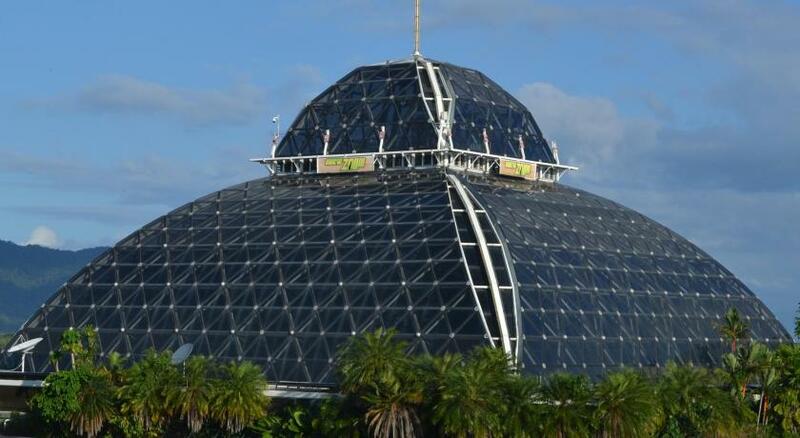 The on-site tour desk can provide guidance and arrange bookings for Cairns’ must-see attractions including the Great Barrier Reef, World Heritage listed Daintree Rainforest and Cape Tribulation. 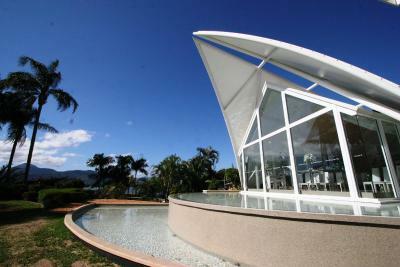 Cairns Airport is a 15-minute drive away. 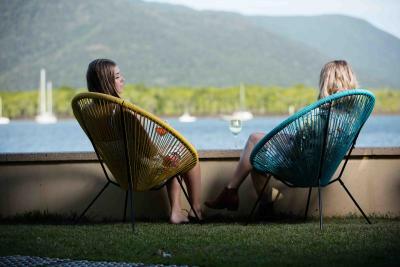 When would you like to stay at Hilton Cairns? 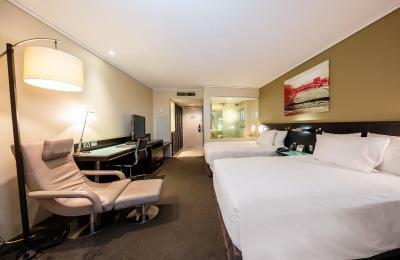 This refurbished room features a private balcony offering panoramic views of the Cairns city skyline and the rainforest. It h a 37-inch LCD HD TV with cable channels, a desk and a refrigerator. Please note that the price is based on 2 guests. Maximum occupancy is 3 adults (see Hotel Policies). The third guest is accommodated in a roll-away bed. 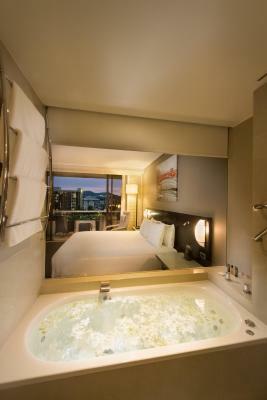 This refurbished room features a private balcony offering panoramic views of the Cairns city skyline and the rainforest. It has a 37-inch LCD HD TV with cable channels, a desk and a refrigerator. Please note that the price is based on 2 guests. Maximum occupancy is 4 adults (see Hotel Policies). Upgrade and relax in style with guaranteed water views. 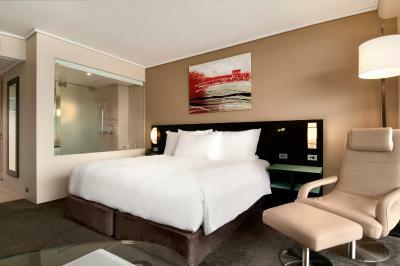 This refurbished room has its own private balcony, modern décor and plush carpets. Please note that the price is based on 2 guests. Maximum occupancy is 3 adults (see Hotel Policies). Upgrade and relax in style with guaranteed water views. This refurbished room offers its own private balcony, modern décor and plush carpets. This room features a private balcony offering views of Trinity Inlet and also features a work desk with an ergonomic chair. 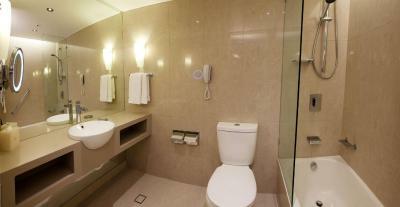 This spacious suite features a spa tub, 2 LCD HD TVs and a lounge area with a desk and a comfortable leather chair. 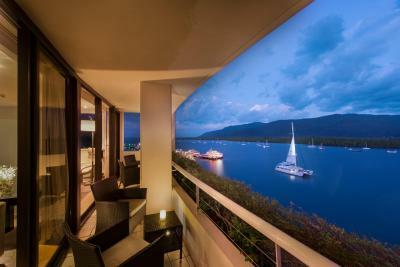 This room features a private balcony offering views of Trinity Inlet or Cairns’ unique cityscape. It also features a work desk with an ergonomic chair. This double room has a tumble dryer and air conditioning. WiFi is available in public areas and costs AUD 9.95 per 24 hours. House Rules Hilton Cairns takes special requests – add in the next step! Hilton Cairns accepts these cards and reserves the right to temporarily hold an amount prior to arrival. 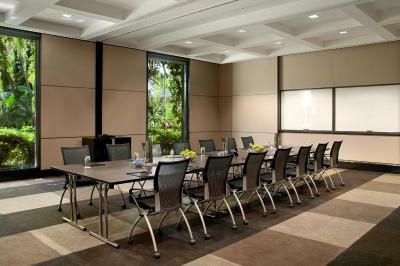 The property can arrange airport pick up, using an external company, for an additional charge. 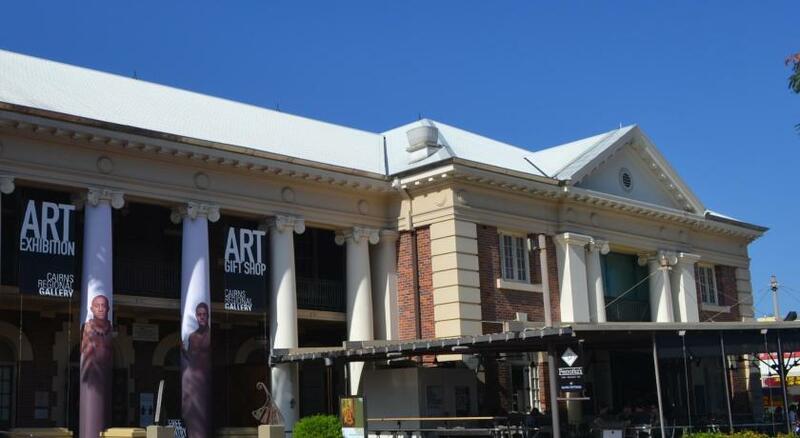 Please note that car parking fees of AUD $15 are valid for 1 entry and 1 exit. The location was fantastic and the room was fabulous with a very comfy bed,clean spacious bathroom. We had a great view (uprgraded on arrival to ocean view) and the pool area was lovely. Loved eating at Mondos underneath the Hilton - lovely atmosphere and reasonably priced. Expensive for what we got compared with the Shangri La. Breakfast was expensive and quality was poor for a Hilton. More in line with a Hampton Inn. Display breads looked wonderful but bread offered was supermarket brands and not good at all. Staff were very polite and efficient though. we were able to order our snack and drinks at swimming pool but we missed pool bar. Very friendly and welcoming hotel staff. They have helped us to organize appointment for our child who was not feelinng well. We also appreciated location of the hotel that is very convenient. We have booked club floor and both, breakfast and dinner was excellent. We were very impressed with your hotel, the location is excellent - staff were so friendly and extremely helpful! Your receptionist Sayah (sorry for incorrect spelling) went above and beyond to make our stay even better, thank you. Shower, could not keep water from spraying entire bathroom. If i say i didnt like anything that would be wrong because from.staff to front desk porter everyone was so helpful so friendly .